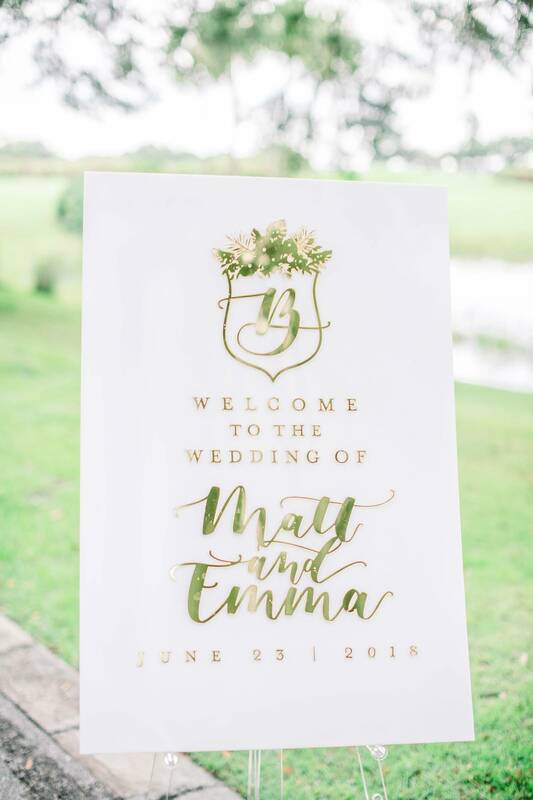 Emma is from sunny Florida, and Matt from snowy Canada. 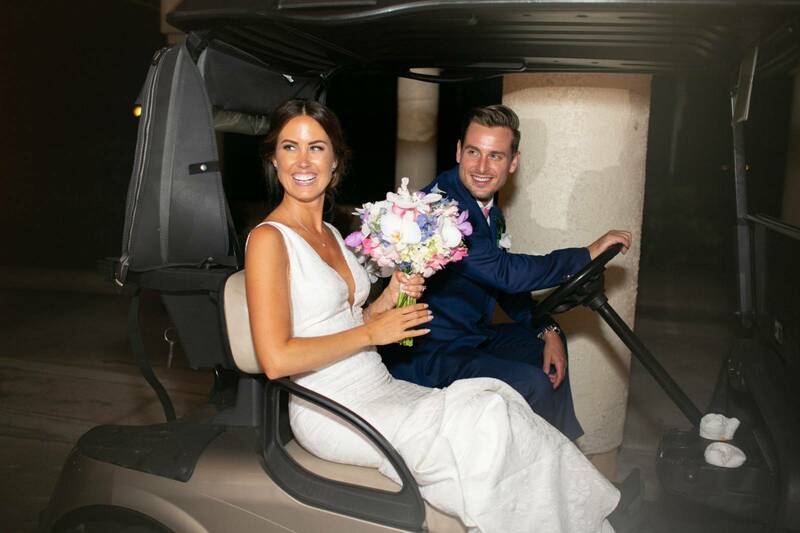 The two of them hit it off when they met at work, and at the edge of the Grand Canyon, Matt asked Emma to be his wife. 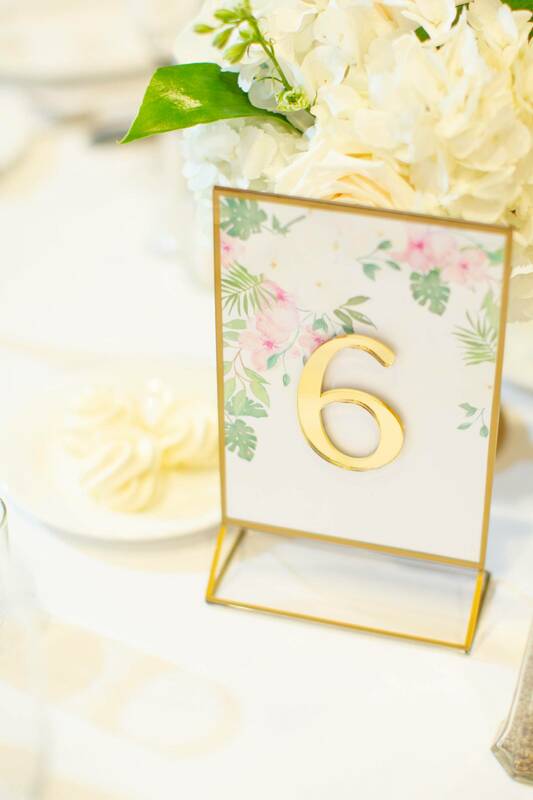 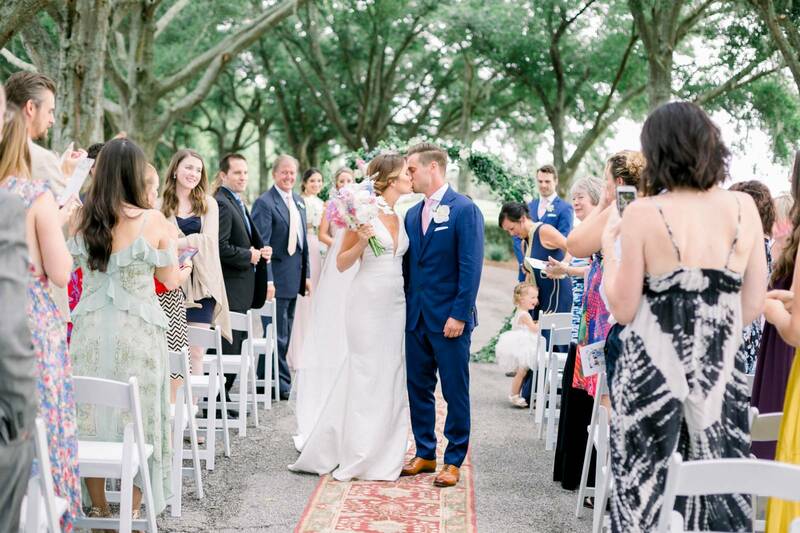 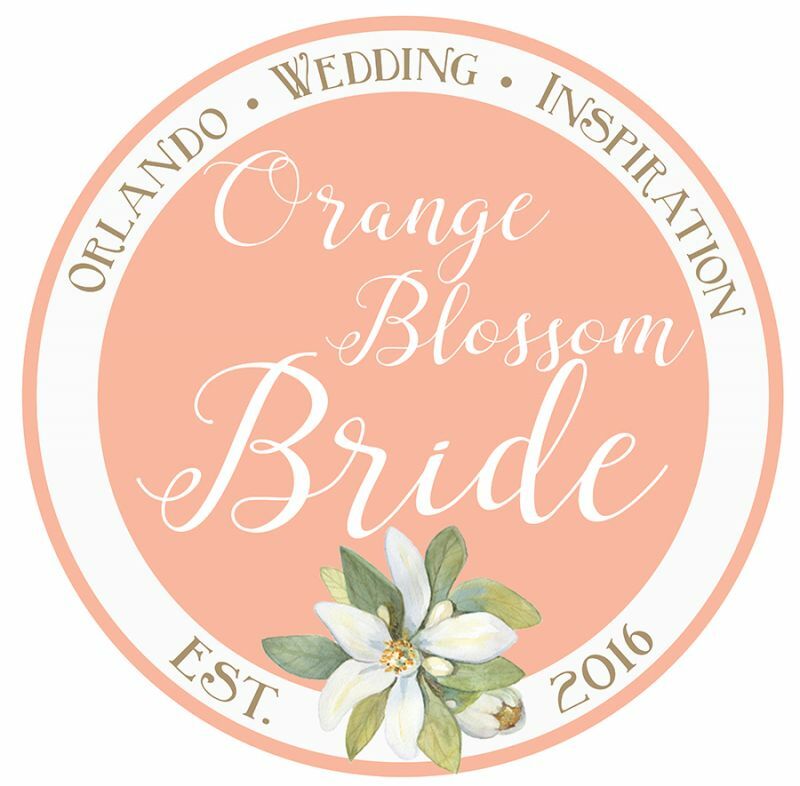 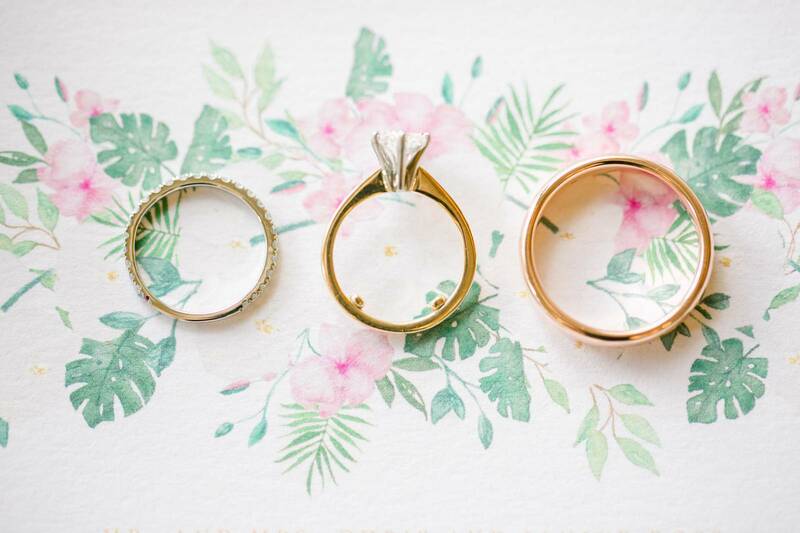 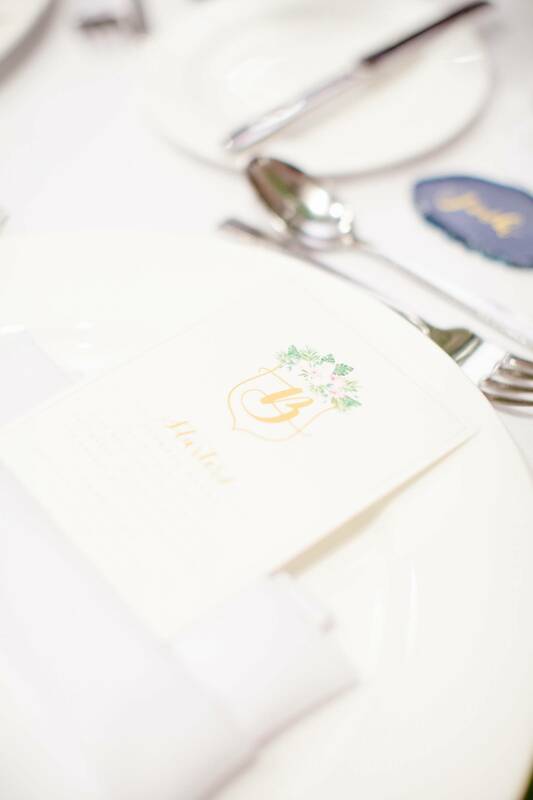 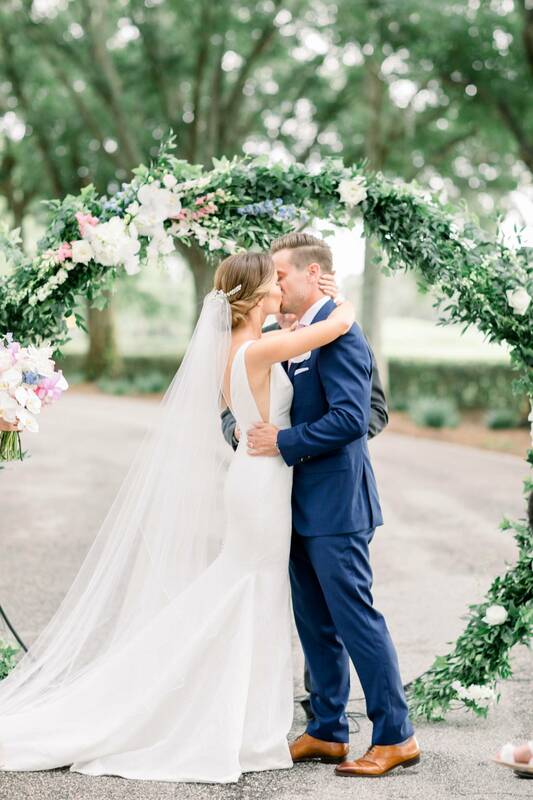 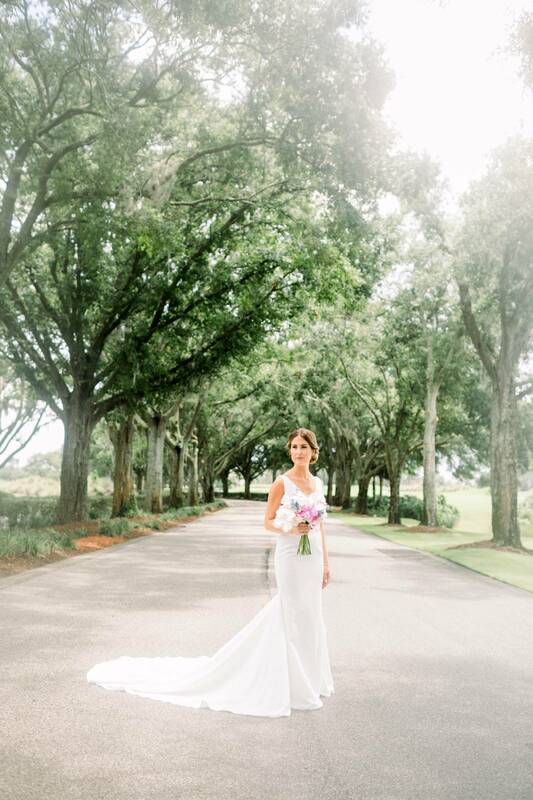 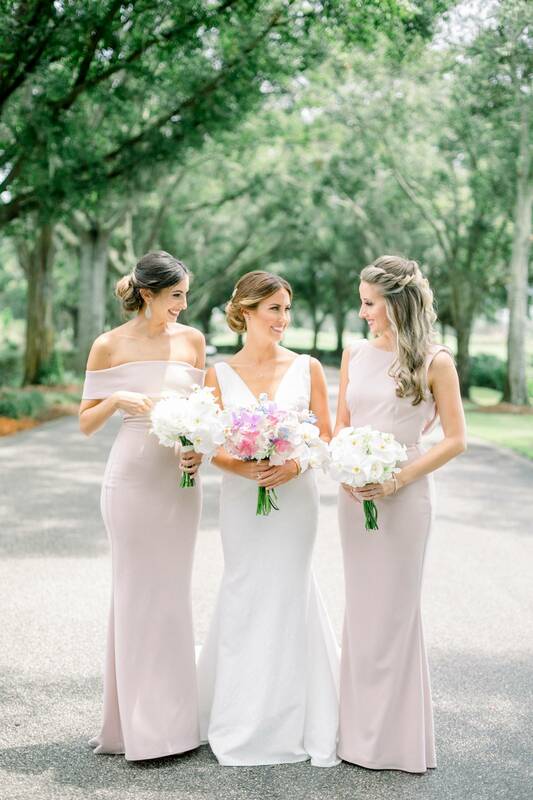 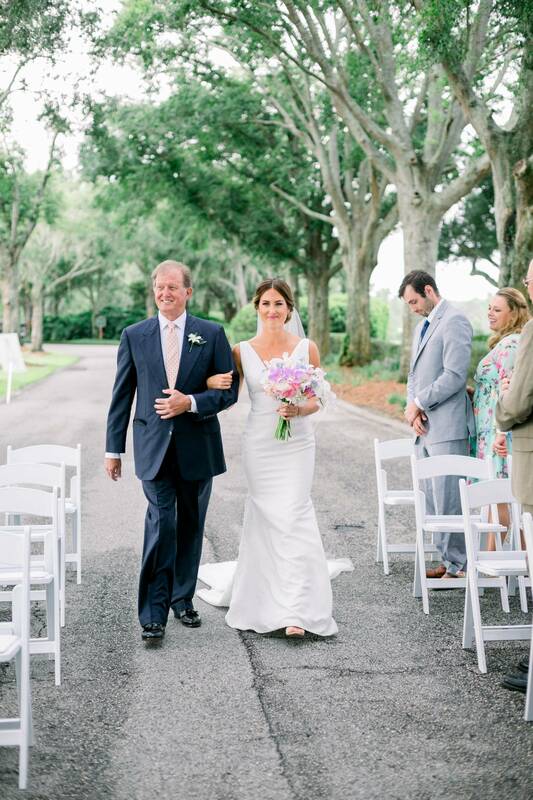 Their wedding day at the Villas of Grand Cypress was filled with pastel greens and pinks accented with gold. 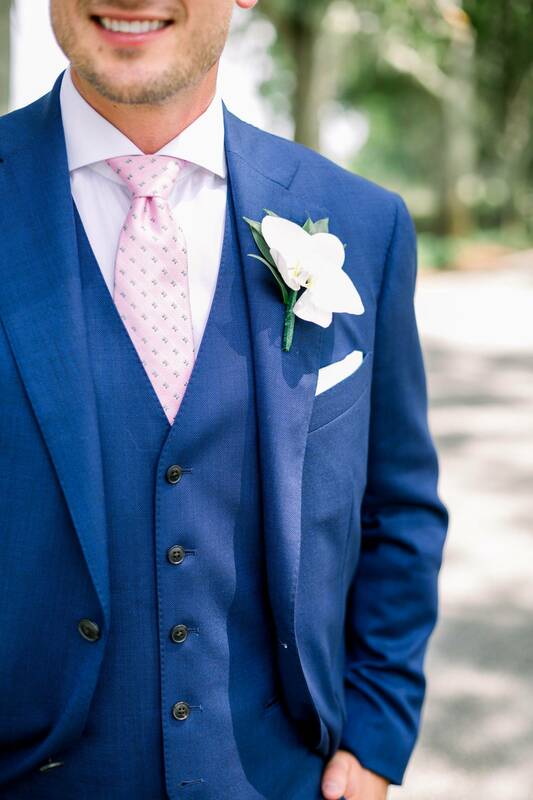 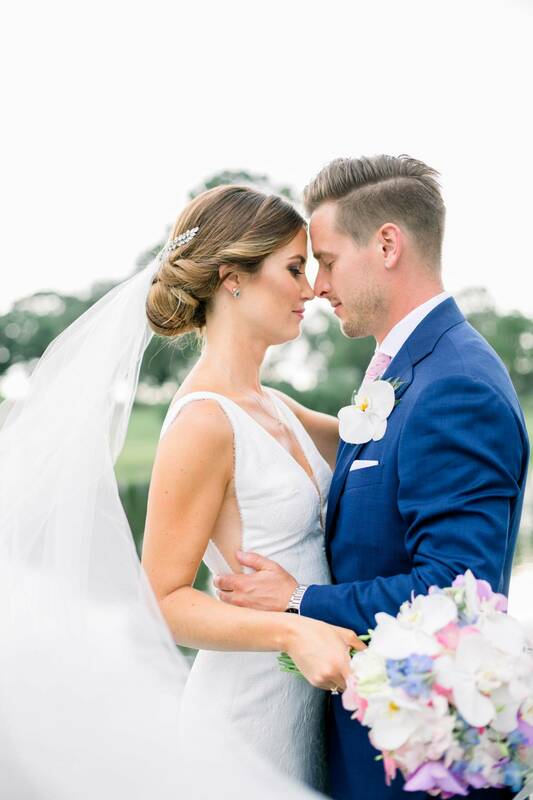 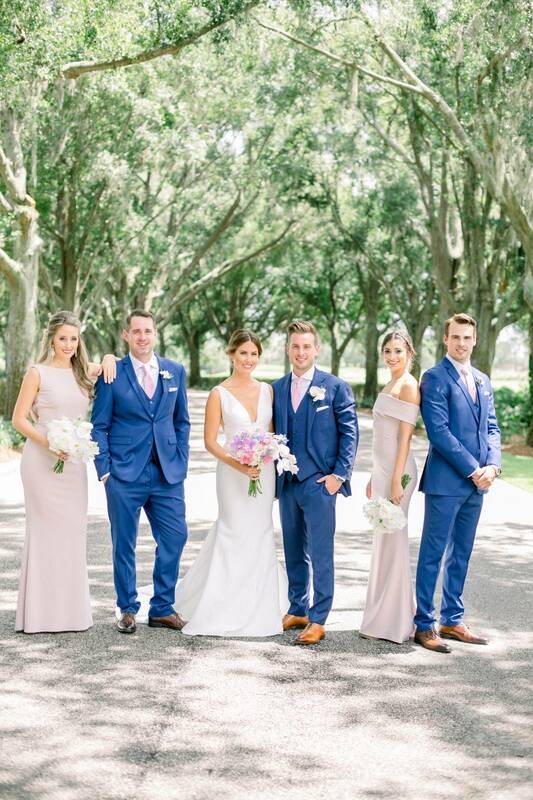 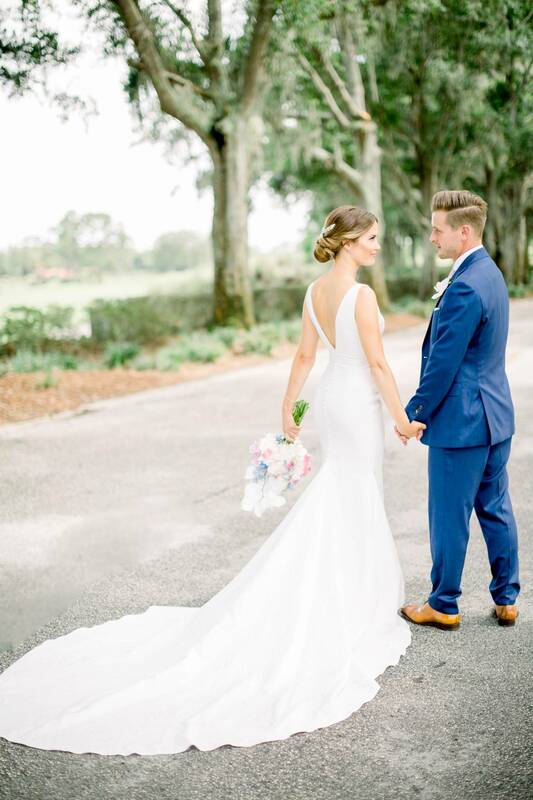 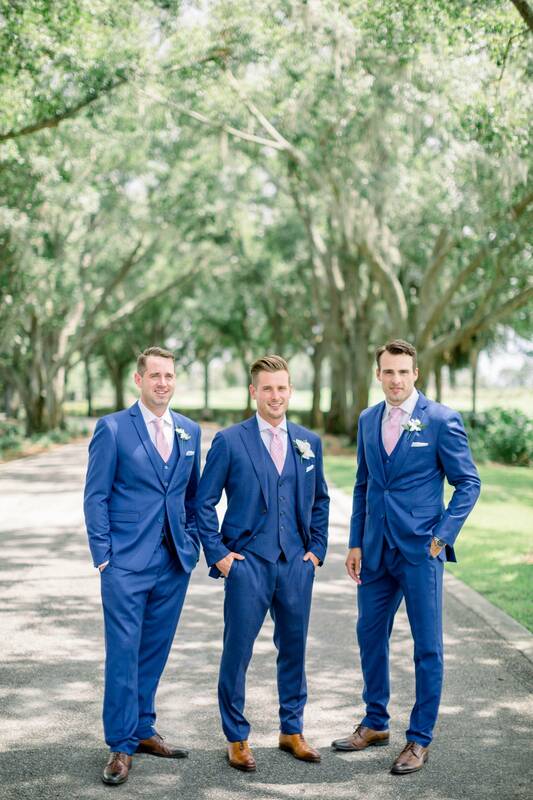 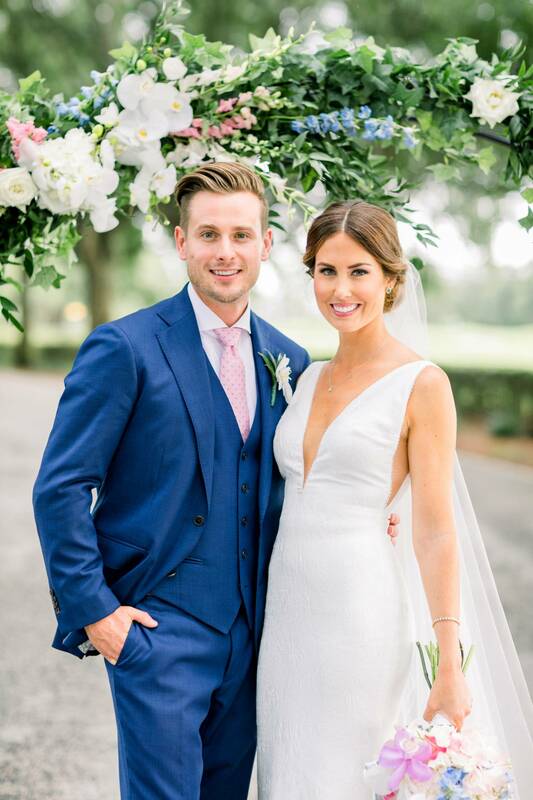 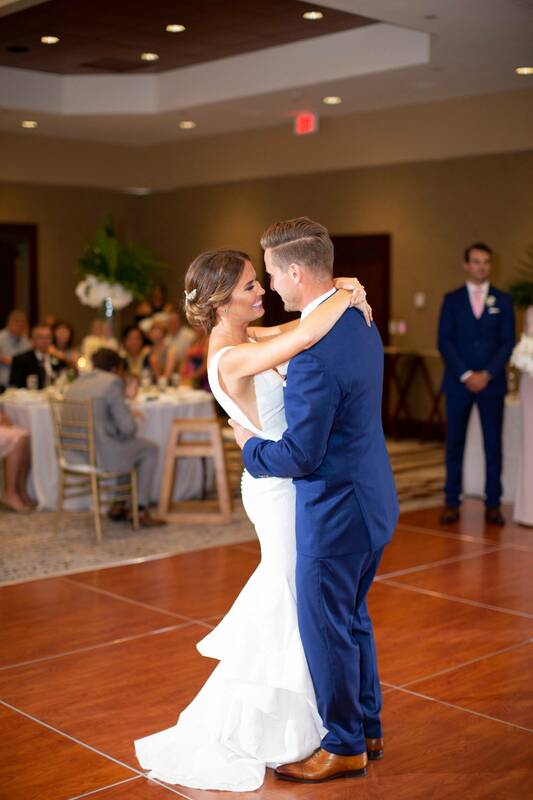 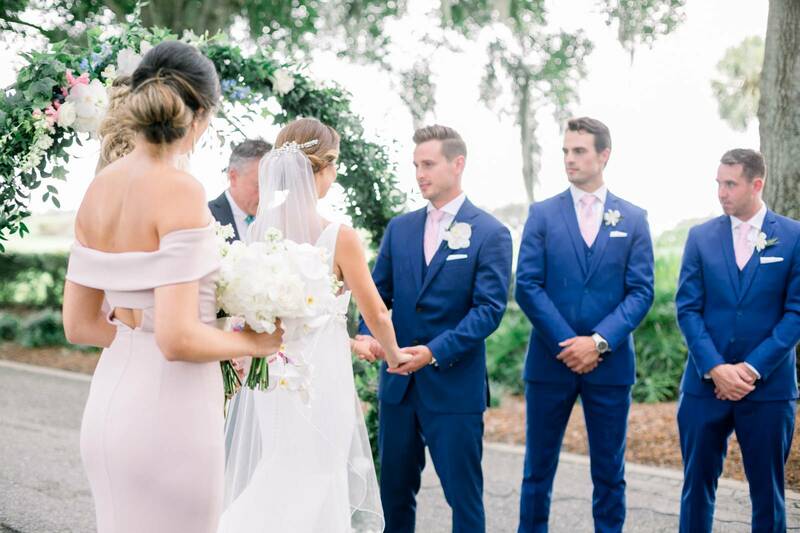 Emma and her bridesmaids looked elegant and poised in sleek fitted gowns, while Matt and his groomsmen provided a pop of color in their blue suits. 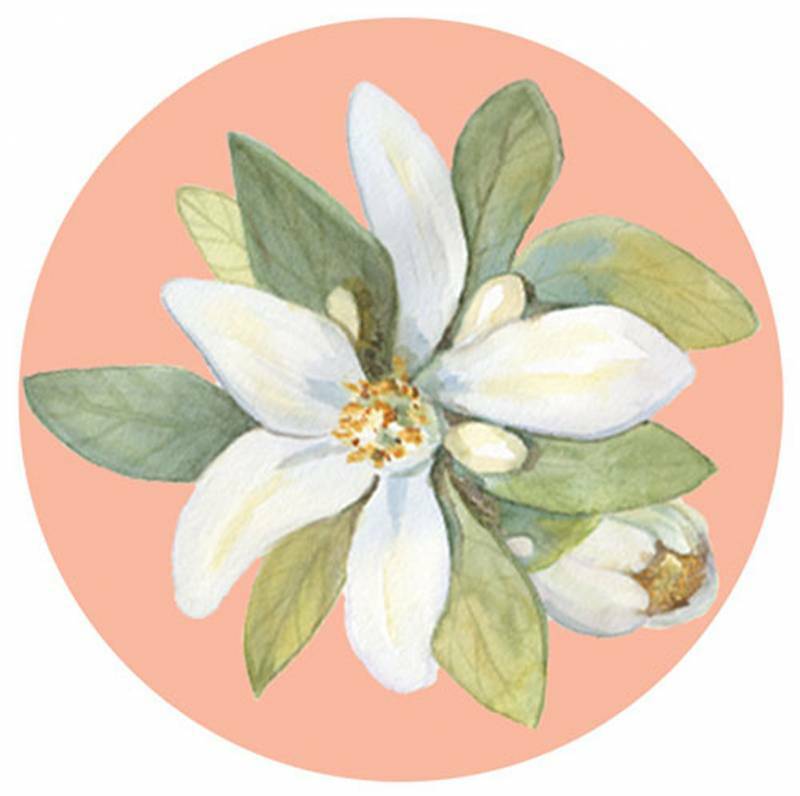 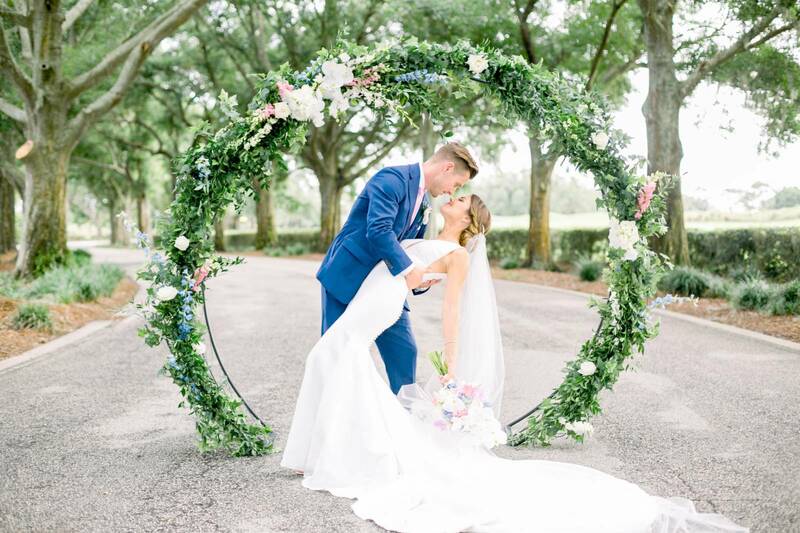 The sun shone through the trees as Emma and Matt pledged themselves to each other in front of a gorgeous floral archway. 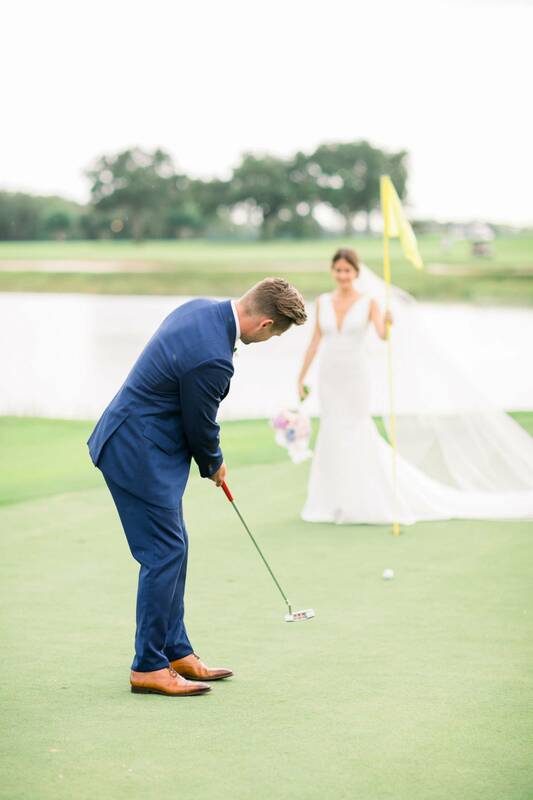 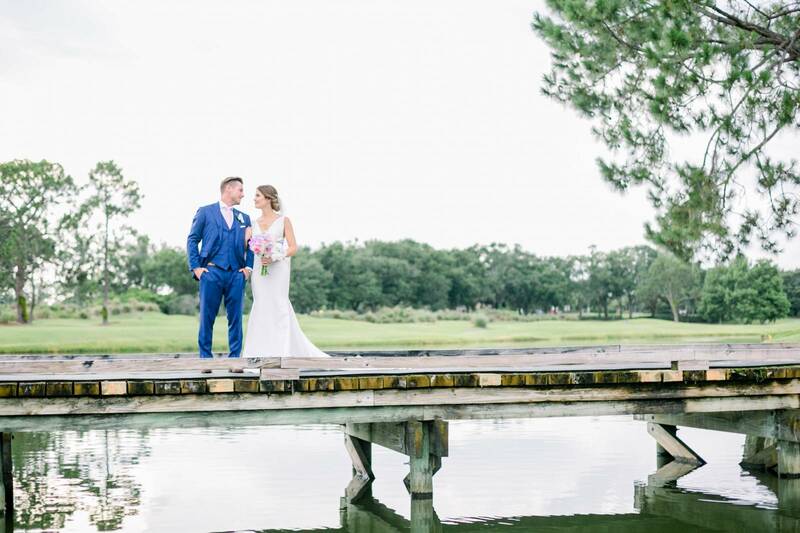 After their first kiss as husband and wife, the two of them strolled along the water, and Matt even took a couple swings on the golf course! 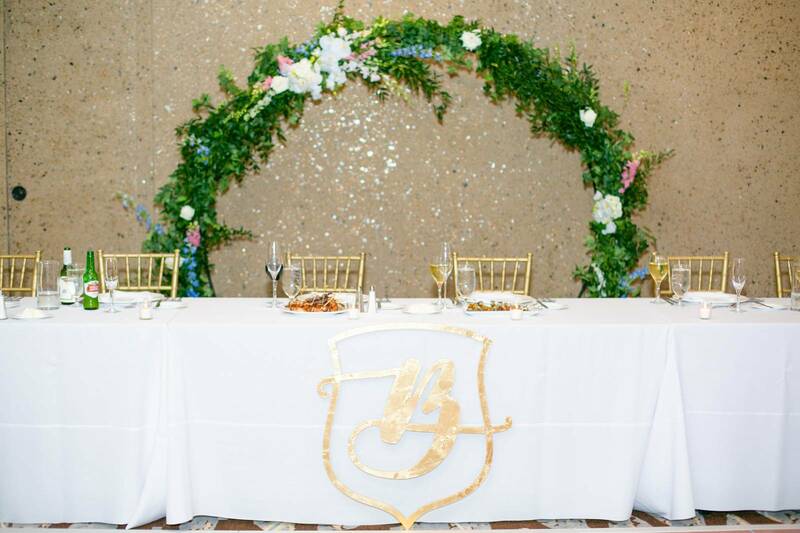 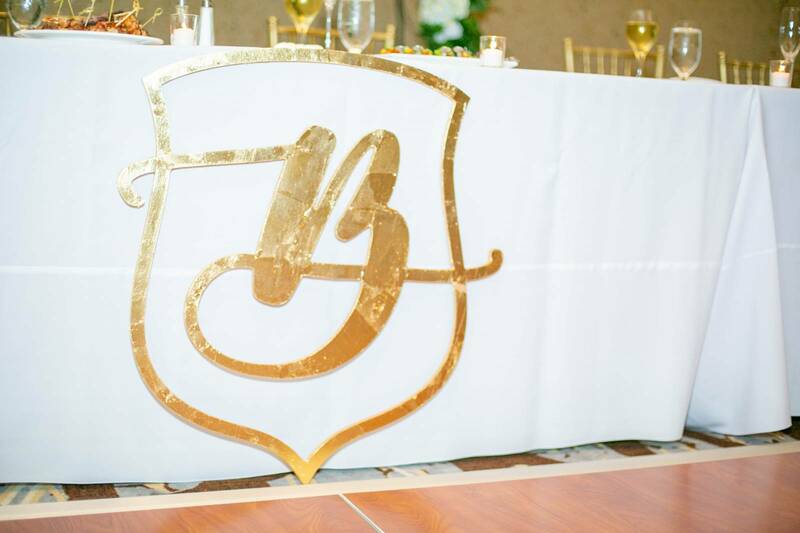 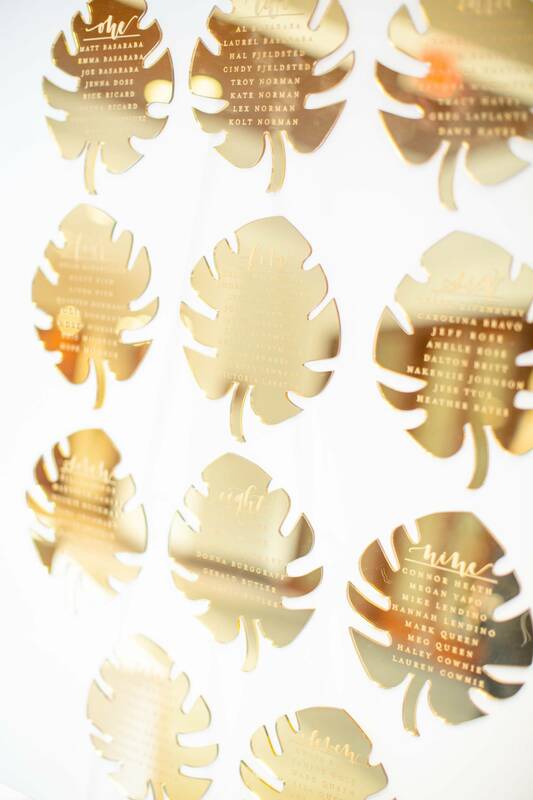 When it was time to head inside for the reception, guests took their seats at banquet tables set with gold chivari chairs. 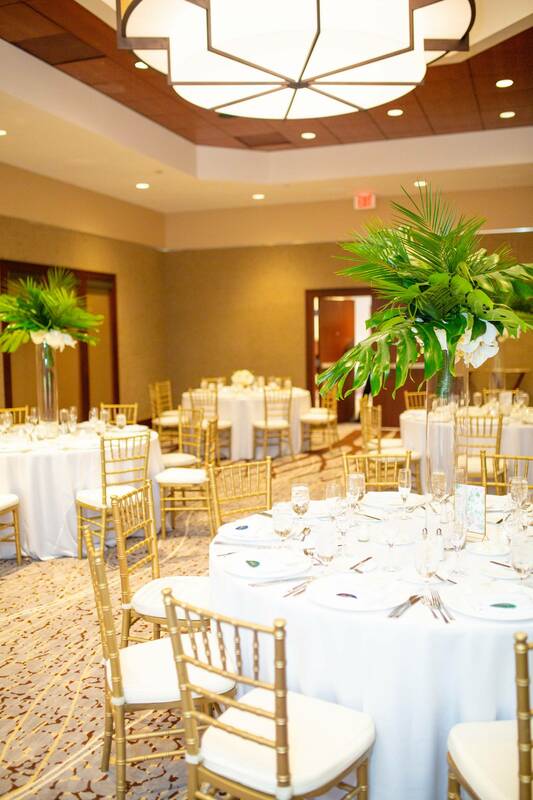 Tall centerpieces filled with tropical greenery decorated each table as everyone prepared for a night of fun and family. 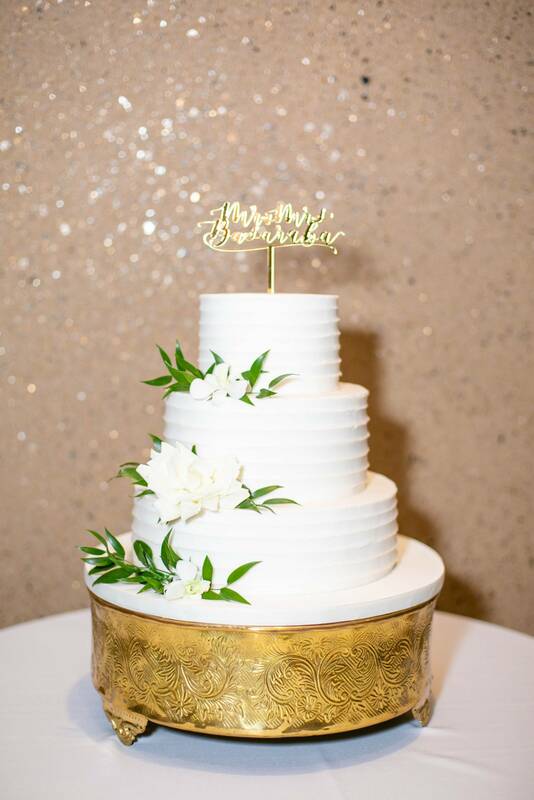 Dinner and dancing ensued, with a classic white cake for dessert. 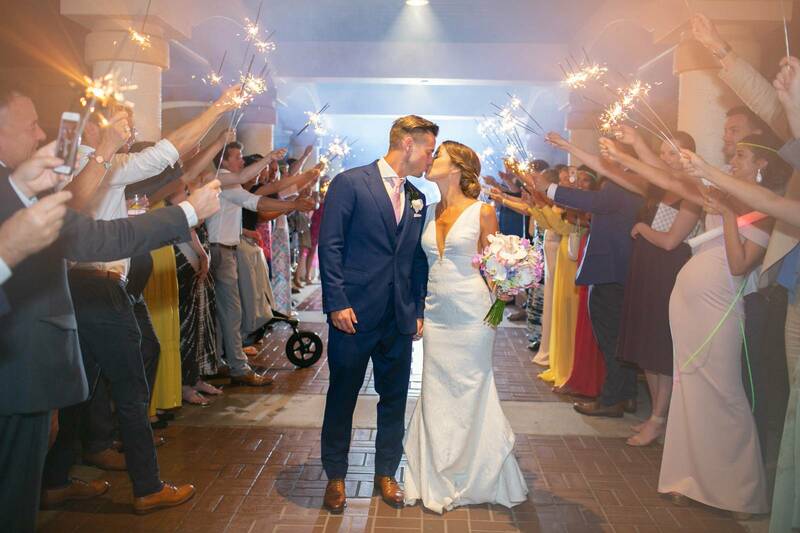 At the end of the night, Emma and Matt made their way out with a sparkler exit!